The Climate Ribbon team hopes you’re having a wonderful holiday season. However, we understand if sometimes it’s hard to maintain a cheery face amid the onslaught of national and global crises. And since you’re reading this, you surely understand perhaps the greatest crisis of all: ever-quickening climate chaos. We at the Climate Ribbon believe the best way to approach this alarming new reality is head-on – and together. 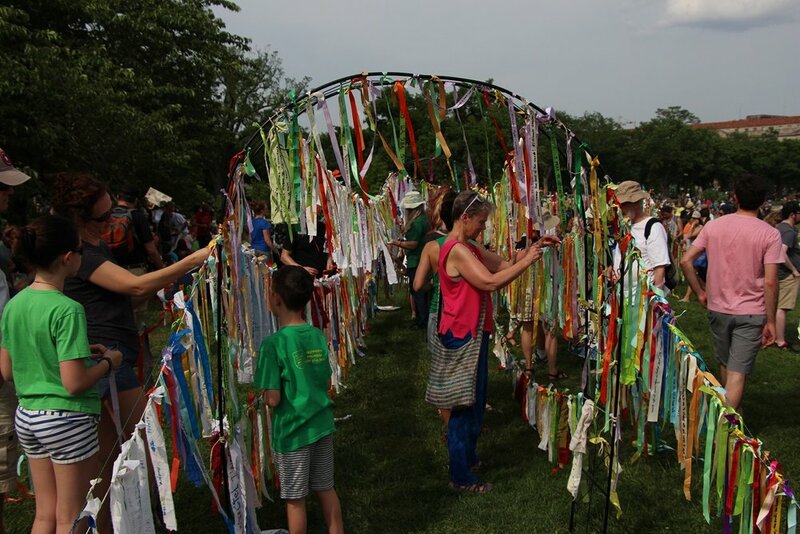 Much like the AIDS Memorial Quilt galvanized its generation, the Climate Ribbon uses art and ritual and to help us witness our mounting losses, and turn our grief into action. 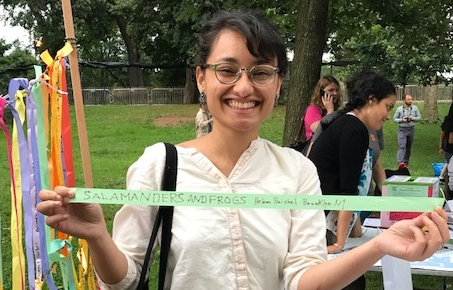 In 2017, people across the country — from the People’s Climate March in DC to Congregation Nevei Kodesh in Boulder to the Climate & Energy Funders Group Meeting in San Francisco — created climate ribbon installations and committed to using their life force in this unique moment in history to turn the tide on climate change. In 2018, we’re taking the Climate Ribbon to the next level, with several exciting partnerships in the works, which we’ll tell you more about in the new year. The Climate Ribbon inspired the youth-led Sunrise Movement to launch a nationwide Climate Time Capsule campaign in fall ‘17. If you’re inspired to put together some ribbons yourself, you can do so with the help of our new 1-page DIY toolkit! Let your imagination run wild. And if you do put a ribbon display together, please tell us about it at climateribbon@gmail.com! And, if you’re inspired to contribute to keep this project going into the new year, please support the Climate Ribbon’s work towards environmental sanity and sustainability with a tax-deductible contribution. Only with your support can we continue our work into 2018 and beyond. From the bottom of our hearts, thank you! If you'd prefer to donate by check, please make it payable to "Backbone Campaign” (our 501(c)(3) fiscal sponsor). On the memo line, please indicate "Climate Ribbon." 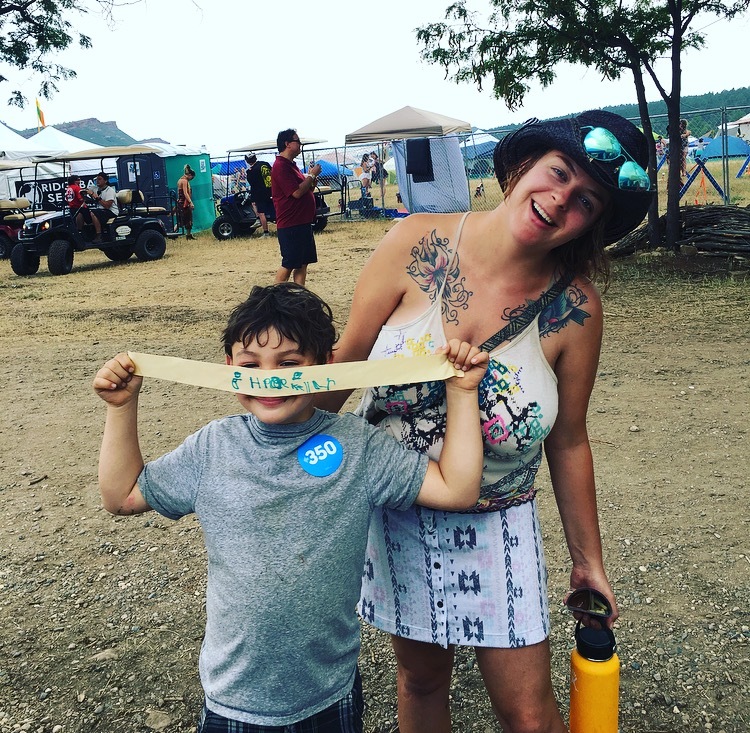 Mail your check to: Climate Ribbon, ℅ Backbone Campaign, PO Box 278, Vashon, WA 98070. Thank you. Thank you so much for your consideration! Again, we wish you and your families all the best as our precious home Earth makes another trip around the sun.